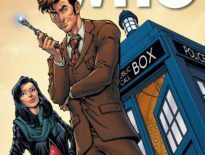 I always look forward to digging into Titan Comics’ Tenth Doctor series: part of that anticipation is because Nick Abadzis is such a strong writer, it’s like spending time with an old friend; another part is Elena Casagrande’s art, which mixes a tone-perfect depiction of David Tennant’s Doctor with a manga vibe. 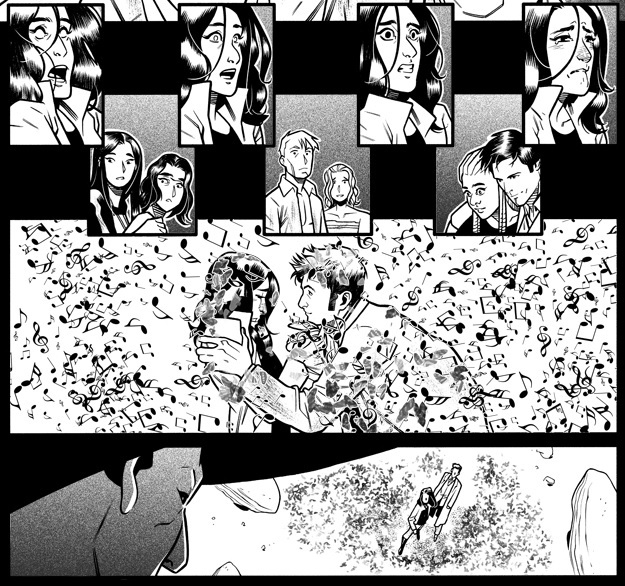 Now, I’m not a big fan of manga, but here, it works really well, and I think that might be that Casagrande doesn’t overdo it – she balances it with more realistic visuals. And Part Two of Arena of Fear certainly delivers on visuals. The really stunning visual, though, is Gabby Gonzalez, the Doctor’s comic companion – turned by the influence of the mysterious Mr. Ebonite. She’s forced into fighting her friends, using beautiful butterflies as her weapons. That sounds ridiculous, and it is, but anyone who’s had flying insects amass around their heads knows how easy it is to panic. Gabby’s butterflies have razor-sharp wings too; add that to the fact that she’s attacking her own friends and you get a very effective threat that fully utilises Casagrande’s talents. Her pages are really layered and wonderfully laid-out. It’s fitting, really, that her page compositions are echoed in Abadzis’ writing: his work so far has really highlighted the connection between imagination and music, and those musical compositions return here. It’s not an obvious pairing, comics and music, but this creative team make it work. This series has really explored the links between different mediums, different logics: Gabby, as an artist, thinks in pictures; Cindy Wu, her friend, is a conduit of modernity, not quite believing in the Doctor’s adventures until she’s thrown into one, remaining sceptical but loyal to her barmy mate; Munmeth, a Neanderthal, obviously has entirely different reference points, his simpler, more mystical outlook on life in complete contrast to Captain Jack Harkness; the Shan-tee ‘paint’ using music; and those harnessing block transfer computation (from Logopolis) can see how hard mathematics can change the universe. 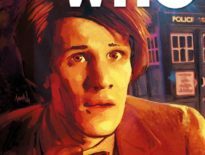 The blurring of mediums is, of course, ideal for a Doctor Who comic, the TV show also having been translated into novels, audios, strips, and even theatre. Maybe music too, if you count Doctor in Distress as anything other than a din. You can probably tell how pleasing this comic is, and, with Cindy joining Gabby and the Doctor at this issue’s conclusion, I’m very much looking forward to seeing how it all plays out. Next stop: everywhere. 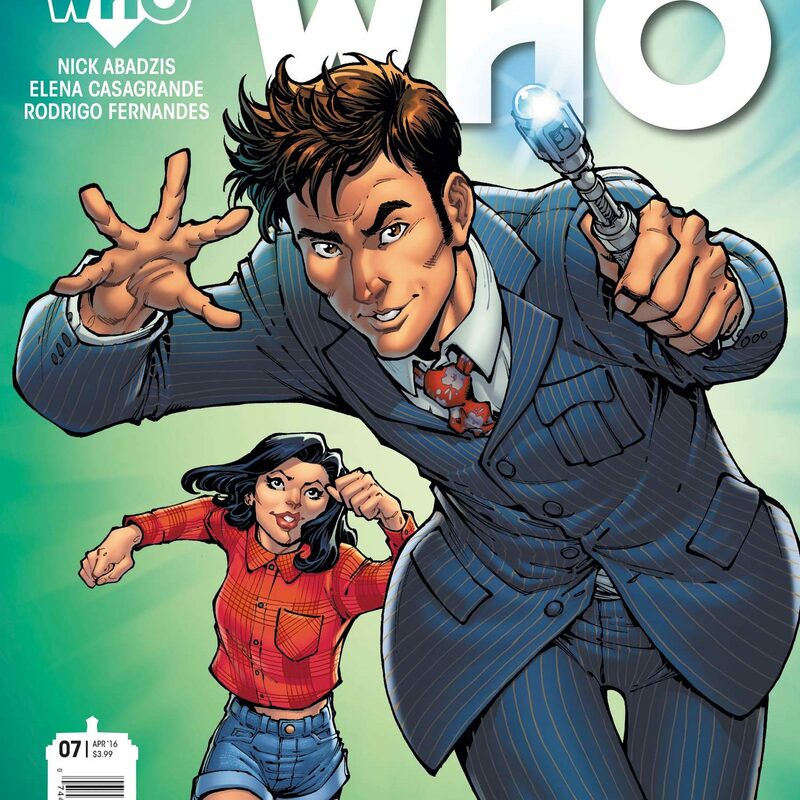 The Tenth Doctor #2.7 is out now, priced $3.99.